I know, I know, I’m late with my blog posting this weekend, but just in the nick of time, here are two more suggestions for your advent knitting. Hats are brilliant Christmas gifts. 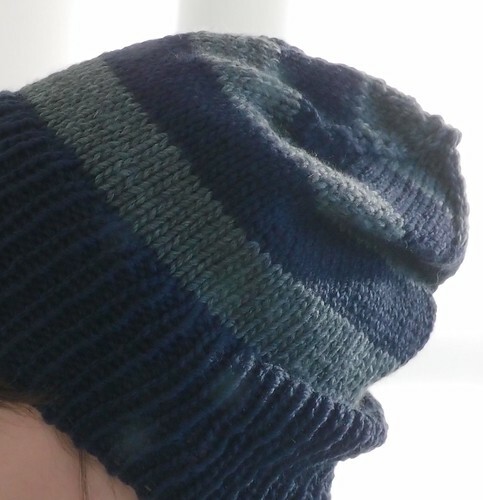 Simple, quick, unisex, and who doesn’t want to keep their ears toasty? If you need a hat then one of the best designers to turn to is, of course, hat designer extraordinaire Woolly Wormhead. As well as having loads of unique, creative patterns to buy, she also has some simple designs that are available for free, and one of those is the fab Chunkeanie. 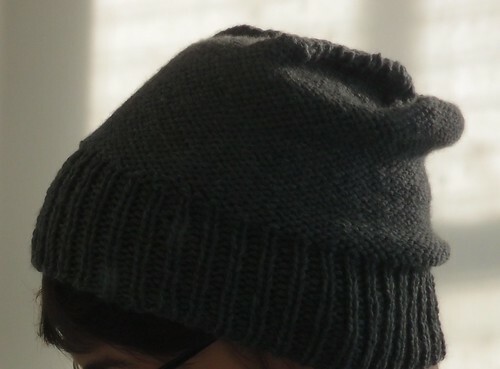 It’s knit on fat needles so it goes really fast and it makes a stretchy, slouchy beanie that suits just about everyone. If you’d rather have a snug fit then you can roll up the brim. And if you want to jazz it up a little, you can add some stripes. The original is knit in reverse stocking stitch, but if you can’t face all that purling, you can turn it inside out to knit it up and then flip it over when you’re finished. 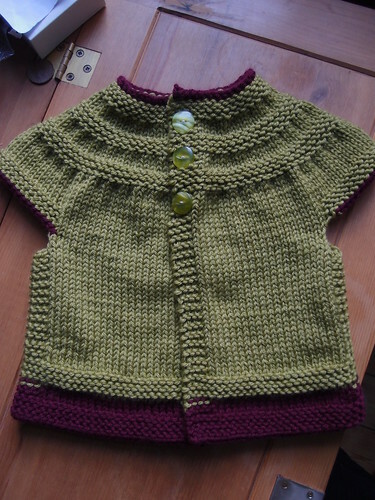 If, on the other hand, you’re knitting for someone a lot smaller, then the In Threes Cardigan could be worth a try. Obviously, this is really one for the girls, but it’s a versatile pattern that knits up quickly. It’s generously sized too, so it should fit the little gro-bag in question for, oh, at least ten minutes. This entry was posted in Knitting and tagged Advent 2012, baby patterns, Christmas knitting, hat, Woolly Wormhead. Bookmark the permalink.